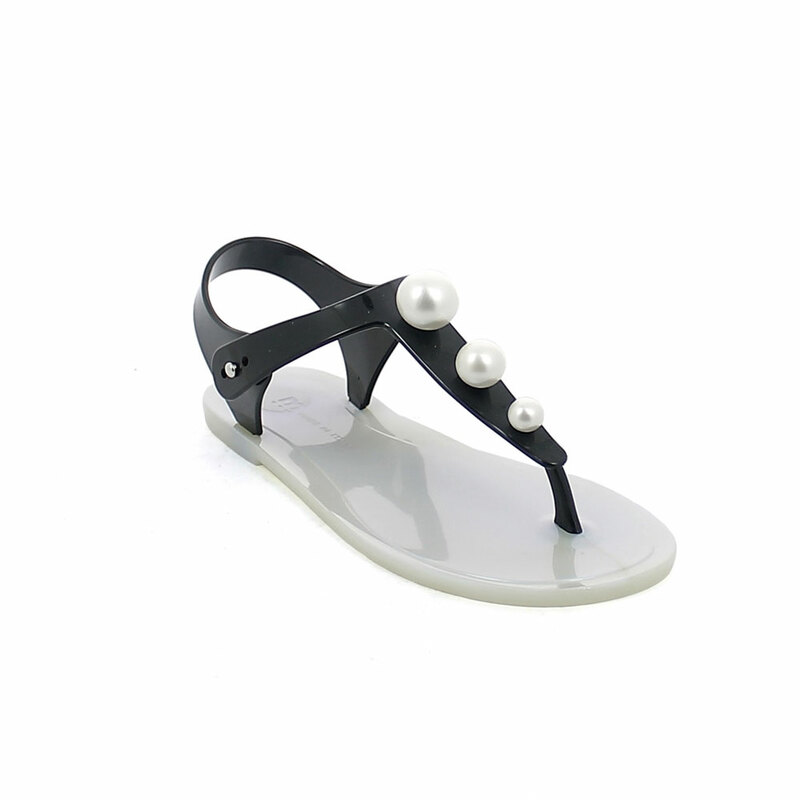 Flip flop "Gladiator" pvc sandal with three pearls on the upper, pad printing insole and pearly colour outsole. Made in Italy. Size run: Double sizes from 36-37 to 40-41.